Charming home on corner lot in Robersonville. Home features 3 bedrooms, 1 bathroom, formal living and dining, sunroom, detached garage, kitchen with lots of cabinets and counterspace, breakfast area. Nice landscaping, rear deck with built in seating, handicap ramp, nice yard with shade trees. 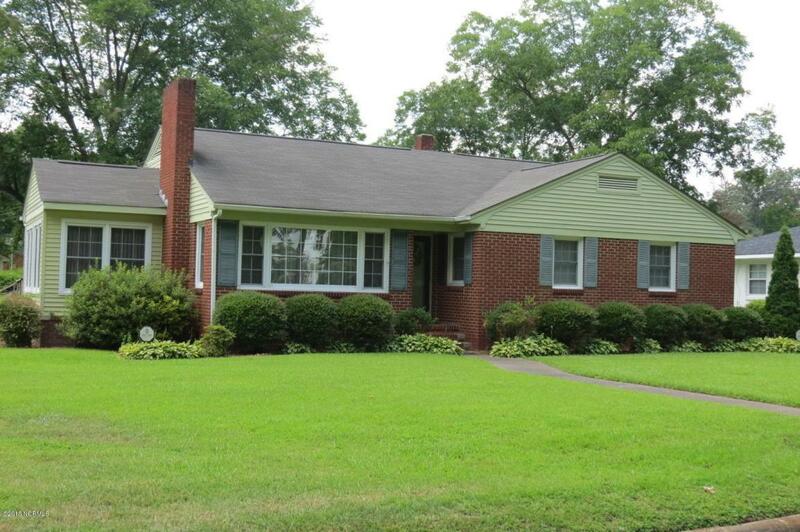 Great location, 20 minutes from Williamston and 25 minutes from Greenville and Vidant Medical. Listing provided courtesy of Team Tnt of Re/Max Preferred Realty.